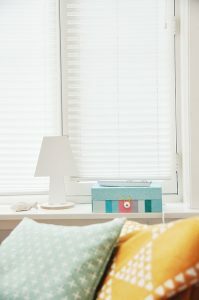 Blinds do so much more than allow you to choose between letting the sunlight in or keeping it out. In addition to playing an aesthetic role and controlling sunlight, blinds have a broad array of advantages, which explains why they’re used in many homes across the country and the world. Here are some of the benefits of window blinds. Window blinds will not only control the amount of sunlight entering your home but also keep strangers from seeing your home’s interior. They give you a higher level of privacy than curtains, for example. The added privacy adds a little more security and safety into your private space. Window blinds come in a vast array of styles, patterns and colors, allowing you to choose according to your style and preference. This enables you to improve the aesthetic appeal of your living room, kitchen or bathroom or even choose blinds that complement the furniture and fittings. One of the best things about blinds is that they’re easy to maintain. Most times, all you need to keep them clean is an occasional quick wipe with a damp cloth to get rid of dust. Compare blinds to curtains, which have to be removed and washed every so often, and it’s easy to see why blinds are a more convenient option. Moreover, they’re also long lasting, especially those made from aluminum or wood. Window blinds also have a huge role to play in improving your home’s energy efficiency levels. They trap air against the windows, which acts as insulation that makes it easier to cool or heat your home. In the winter, they trap cold air, making it easier to heat and during summer they trap light and heat at the windows, making it easier to cool your home. Window blinds offer the most customizable light control for your home. Slatted window blinds, for example, are very effective window treatment options for light control because the slats can be opened and closed and tilted up or down. One of the biggest selling points of window blinds is that they’re long-lasting and durable. When compared to curtains or drapes, blinds are much more resistant to damage. For example, drapes could be ruined by water, which is not an issue when dealing with blinds. The sun’s rays can cause significant damage to furniture and other home items. When the beams pass through a window, they’re made more potent by the glass. Direct contact with the sun’s rays can be harmful, damaging fabrics and leather beyond repair. Ultimately, these are just some of the benefits of window blinds. It’s easy to see why they’re gaining popularity as an attractive investment. Getting blinds for your home would be a wise choice considering the affordability and benefits they can bring. You will be impressed by how well blinds conserve energy, improve the overall look of your home and protect your furniture.